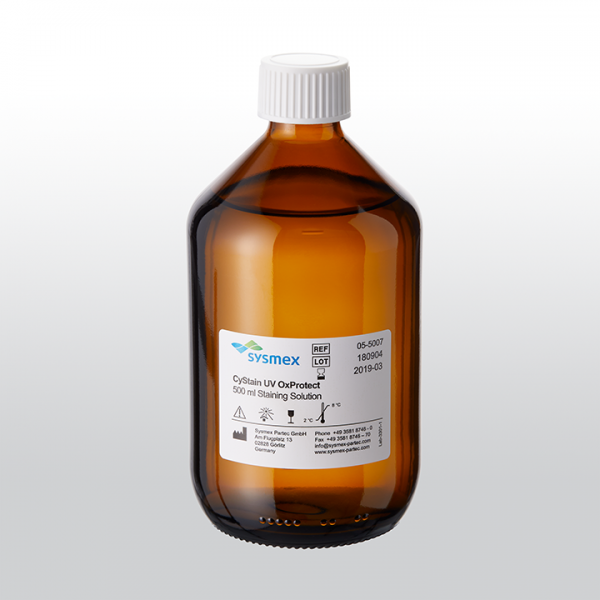 Ready-to-use reagent for the extraction and staining of nuclei in one step. DAPI as a dye enables the determination of genome size variations and ploidy level in material or cell suspensions of various origins, including mammalian cells and plant material. CyStain UV OxProtect is especially formulated to prevent oxidation and degradation processes triggered by endogenous plant tissue oxidants. The reagent is optimised for use on selected configurations of the Sysmex CyFlow Ploidy Analyser and CyFlow Space flow cytometers.